Voidstar: Even in the darkest corner, she will be seen. Voidstar: We will be watching. Voidstar: Including a much larger threat that we imprisoned epochs ago. How Valtrith managed to find their vessel and absorb it, doesn't matter. Voidstar: What matters is that they are now free. 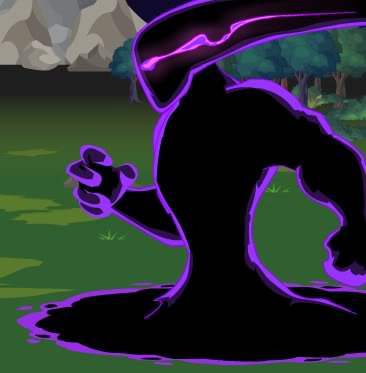 Voidstar: Excuse me!? With Shadowscythe! Voidstar: The first of the Maleurous is on the move. -- ArchMagus Orodalf for the entry. -- Stephen Nix for missing info.